These days many people are getting driven towards online micro jobs but most of them give up before they could even start. 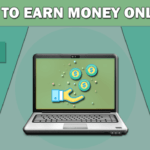 Yes, you can earn money by doing the very simple tasks from sites called as Micro Job sites or Crowdsourcing sites. Micro Jobs sites are those that pay their members for performing very simple tasks posted by many companies or other people. On this page, I’m going to show you a list of best micro job sites from which you can start earning money. No investment and no experience is required to earn money from Micro Job sites. How Micro Job sites work? The term Micro Jobs itself indicates that the jobs are very small. Many companies or people want their simple tasks to be done by other people so they come to the best micro jobs sites and post their requirements(jobs) there. Let’s say a person posted a picture on Facebook and he wants many likes to his post, in that case, he comes to micro jobs sites and posts his Facebook post URL there and pays the members who like it. In another case, let’s say a company launched a new website and it wants many new registrations so it will come to micro jobs sites and post its request and pay a certain amount per each signup. So the people who post jobs are called as employers and the people who complete those jobs are called as workers. One can easily earn from $50 – $150+ every month by doing Micro Jobs for few hours daily. Micro jobs are very simple and require no hard work at all. From the above image, you can see many different jobs posted by different people. Most of the jobs are based on sign-ups and people are paying a decent amount for just 2 – 3 minutes work. Some Micro Jobs are available for targeted countries and some jobs are available for all of the countries. People from the United States get more number of micro jobs. Follow the below steps to start earning from micro jobs or Crowdsourcing sites. You will be asked to fill the details like country, full name, email, etc.. Step 2: Login to your account and click on the menu that says “Jobs” or “Available Jobs” to find a list of jobs available for you. Step 3: Now click on the job you want to complete >> A new page will open >> Next read the instructions to complete the job. Now complete the job by following the instructions and provide the required proof that you have completed the job in the provided box and submit it. Step 4: Now you’ll have to wait for some time and when the job poster approves the job then you will get the money. Step 5: Every micro job site has a different minimum withdrawal amount and after you have reached the min withdrawal amount then you can request for payment by filling your payment details. Most of the best Crowdsourcing sites pay via PayPal. If you don’t have a PayPal account then you can create one for free. After you receive the funds to your PayPal account, you can transfer it to your bank account with 0% fees. Below you are going to find a list of the best Micro Job sites or Crowdsourcing sites on the internet. I have worked and tested all of them before posting them here. I have listed these websites based on their Alexa rank. Top rank sites appear first. 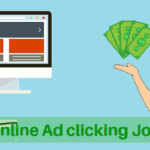 The money you earn from the below best micro job sites is 100% guaranteed. There is no scamming at all! Mechanical Turk(in short MTruk) is the worlds biggest crowdsourcing website. MTruk is one of the reliable best Micro Jobs sites because it it owned by Amazon. MTurk is online since 2005 with millions of members worldwide. According to Alexa rankings, MTurk ranks one among top 7k websites in the world. On MTurk, Micro jobs or Crowdsourcing jobs are called as HITs(Human Intelligence Tasks). There are two kinds of people on MTruk. The people who post jobs are called as Requestors and the people who complete those jobs are called as Workers. To start working on MTurk, first you need to create an account on Amazon and then you need to Sign in as a worker using the same login details as Amazon. Now Amazon will review your request for a worker and your request may get approved or rejected. MTurk pays via Amazon gift cards and bank transfer. There is no Min withdrawal amount. Click here to join Mturk. You will find few other sites like Mturk below. With under 12k Alexa rank, Crowdflower is a very popular Micro Jobs website which offers Micro Jobs through other third-party websites. To earn money from Crowdflower tasks you need to join sites like Neobux and ClixSense because they are linked to Crowdflower.com and are very popular websites offering Crowdflower tasks. At Neobux, you can withdraw your earning via Payza or Skrill or Neteller when you reach $2. Neobux also offers other ways to earn like viewing ads, playing games, etc.. Check this Neobux earnings guide to start earning with Neobux and Crowdflower tasks. At ClixSense, you can withdraw your earning via Payza or Payoneer or Skrill when you reach $10. 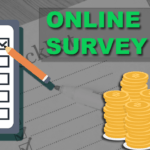 ClixSense also offers other ways to earn like completing offers, taking surveys and more. Check this ClixSense earnings guide to start earning with ClixSense and Crowdflower tasks. Microworkers is another very popular crowdsourcing website with 26k Alexa rank. It is online since 2009 and owned by Weblabcenter Inc. Microworkers has more than 1 Million workers worldwide. To start working with MicroWorkers you need to create an account on it by filling the required details and by verifying the PIN sent by them. Next, you need to click on the “Jobs” menu to find the available jobs and start working. ClickWorker is another website which is counted among top Micro Job sites. It is online since 2005 with more than 1 Million registered users. According to Alexa rankings, ClickWorker ranks one among top 40k websites in the world. ClickWorker is a little bit different from other Micro job sites. It is much like a freelancer website where you can work independently using your skills. Rapidworkers is yet another popular Micro Jobs website. It is online since 2009 and ranks among top 90k websites in the world(Alexa rankings). At RapidWorkers, the people who offer Tasks are called as Employers and the people who complete those tasks are called as Workers. I like Rapidworkers because it is very simple to understand and work than other micro job sites. You will find very simple jobs on RapidWorkers. RapidWorkers pays via PayPal and Skrill. The min withdrawal amount is $8 + 6% fees for Paypal and 8% for Skrill. If you are looking for just a part-time income then MicroJobs will be a perfect option to start. You can earn just a little over $200 every month from the above best micro job sites. Don’t get confused, Micro Jobs and Crowd Sourcing is one and the same. As I said earlier that the above websites are very trusted and you will get the money for the work you have done, its guaranteed! Using micro job sites you can earn only a little income. If you want income over $500 every month then check out the recommended method to earn money online here. If you have any doubts then you are free to comment below.